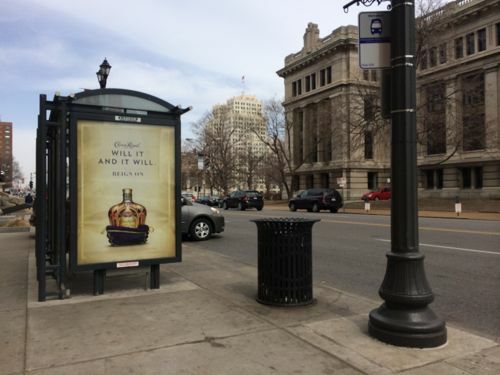 Last month I posted about how St. Louis Does the Opposite of the National Association of City Transportation Officials (NACTO), this is the first example: bus stops. Transit streets are built around safe, low-stress, and complete pedestrian and bicycling infrastructure. Transit riders are active users of the street, relying on comfortable sidewalks and bikeways—and orderly motor vehicle traffic moving at safe speeds. Intuitive travel paths and frequent opportunities to cross the street make it easy and safe for people to get to transit stops, and are essential to building ridership. 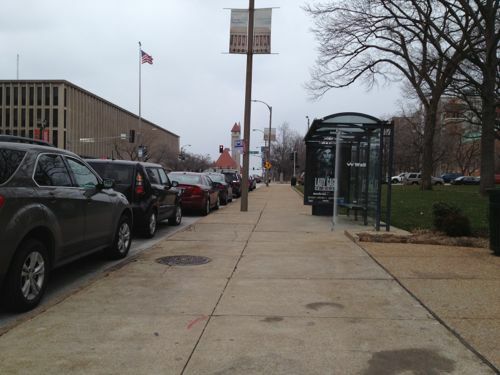 MetroBus stop on the north side of Market Street filled with parked cars. 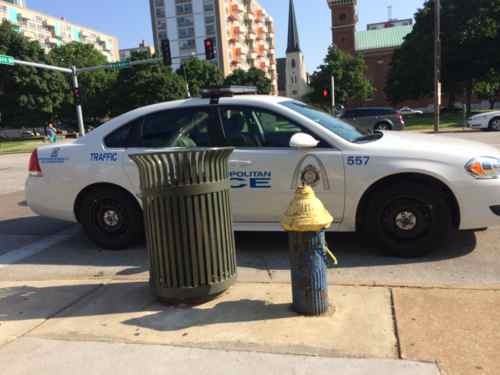 A St. Louis police car parked in front of a fire hydrant in a bus stop at 16th & Market. Where buses are required to pull from traffic to make stops, longer bus zones are needed to accommodate transitions to and from traffic. Short transition distances add delay to transit service and require sharper transitions to the curb, wearing transit vehicles and infrastructure more quickly. Enforcement is required to keep pull-out stops clear; vehicles standing or parking in the stop zone constrain the operator’s ability to pull completely to the platform. Longer stops ease transitions into and out of stops, but require more curb length, reducing curbside parking spots. At high-volume boarding locations, longer stops can be used to distribute queuing riders along the sidewalk and to ease pedestrian congestion. 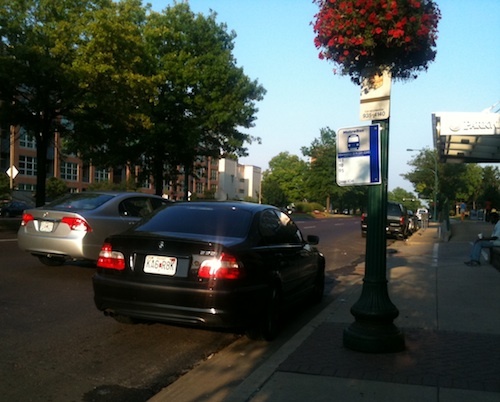 The design of the humble bus stop can prioritize or de-prioritize transit. For decades the entree St. Louis region has de-prioritized transit use through the design of streets in the the public right-of-way.